Studies have shown that the urban Filipino commuter in the NCR averages more than 1,000 hours in traffic. This has been the norm for almost 3 years and the situation is getting worse and not better. All the lost man-hours and productivity costs the economy billions of pesos. Traffic congestion brought about by the volume of vehicles brought about by increasing economic activities and population. It is acknowledged that private vehicles with only 1 passenger each contributes significantly to vehicular volume. Realizing this, Uber came up with uberX that revolutionized the transport needs of the people and a business model that has proven itself to be workable and has gained support from the commuting public. Uber has now launched uberHop and Manila is now third in the cities (Toronto and Seattle) where it is available. uberHop is a ride-sharing option for commuters with a flat rate who are going in the same direction during rush hours. Thus, the car-pooling concept gets a notch higher in giving safe, reliable and an affordable option for daily commuters. 2. Walk: You will be paired with a driver and up to five (5) co-riders that are travelling in the same direction. Using the directions in the app, proceed/walk to the suggested pick-up spot to catch your ride. The app also lets you know how much time you have left to get to the pick-up spot. 3. Ride: There are no stops on uberHOP rides so that travel time is optimized. Sit back, save and enjoy the ride. IMPORTANT NOTE! Each uberHOP request can only accommodate one person. Additional riders will need to request their own uberHOP. 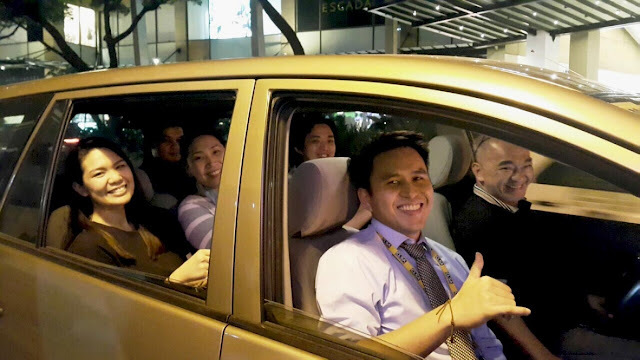 If you are bringing along a companion, have him / her request uberHOP too!